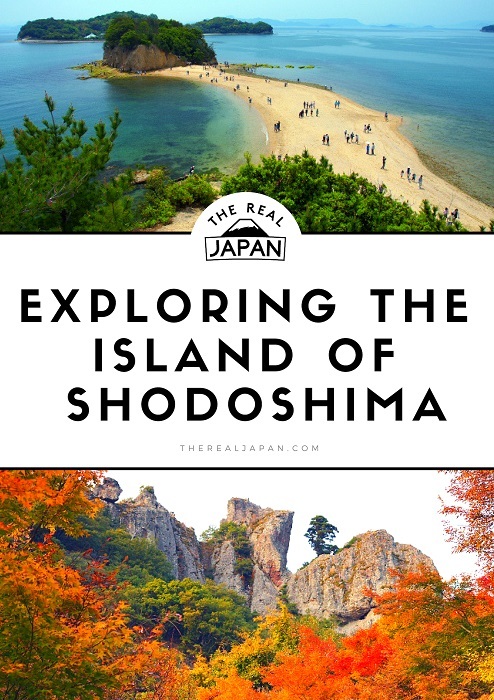 Shodoshima is an island found in the Inland Sea of Japan – a relatively little-known but well worth exploring part of the Japanese archipelago. There are around 30,000 people living here. 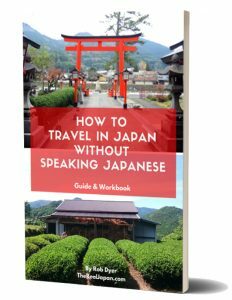 Although a holiday destination for some within Japan, this is well off the tourist trail for many foreign visitors and, as ever, all the more enjoyable for it. When planning a trip to or tour of Japan you might want to include exploring the island of Shodoshima and Kankakei Gorge in your itinerary. Readily accessible by ferry (there is no airport) from the main island of Honshu, Shodoshima lies a few miles south-west off the coast of Hyogo prefecture. Its name literally means “Island of small beans”, referring to the native (and yummy) Azuki beans. Indeed, it used to be known as Azuki Island. 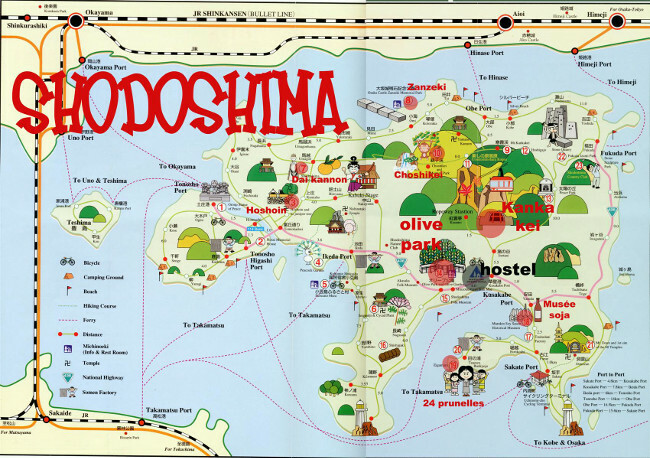 I have to confess a particular soft spot for Shodoshima. 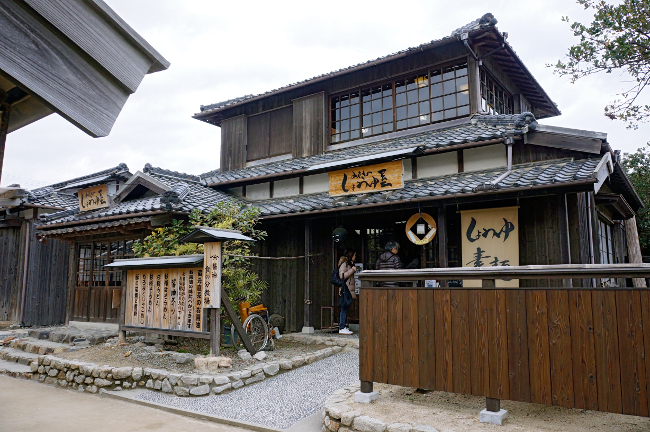 I’ve been several times and liked it so much on our first visit that my wife and I chose it as the location for our honeymoon when we married in Japan. 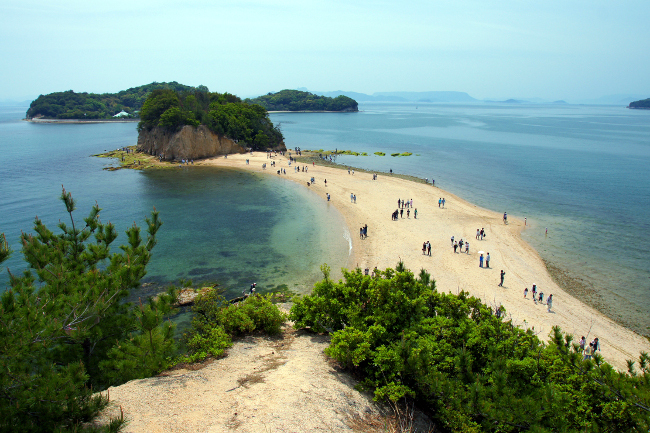 Around its coastline it has some noteworthy beaches (including Dobuchi Strait, the world’s narrowest strait) but it is the beautiful Kankakei gorge in the middle of the island, from where there are some stunning ocean views, that is perhaps the major natural attraction. The journey up the mountain (typically by bus or taxi) can be a mini-adventure in its own right, as there are wild Japanese macaque monkeys en route who will stop at nothing to get a good look in your bags for any edible goodies you might be carrying. The monkeys are entertaining enough when seen from inside of, and running alongside, your vehicle but, beware, once you are outside on foot they can be a bit intimidating to the unprepared. 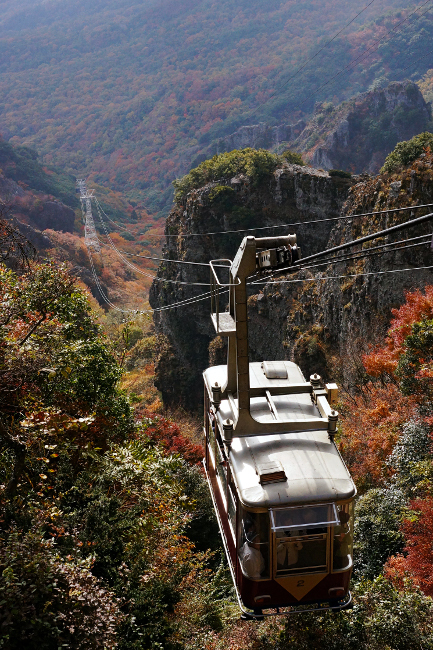 You should disembark part way up the mountain, transferring to the Kankakei ropeway – a cable car that will take you up through the gorge itself, to a park at the top of the island – where there are some impressive 360º views over the island. The gorge is one of the country’s nationally-designated Places of Scenic Beauty and one of the 100 Landscapes of Japan. 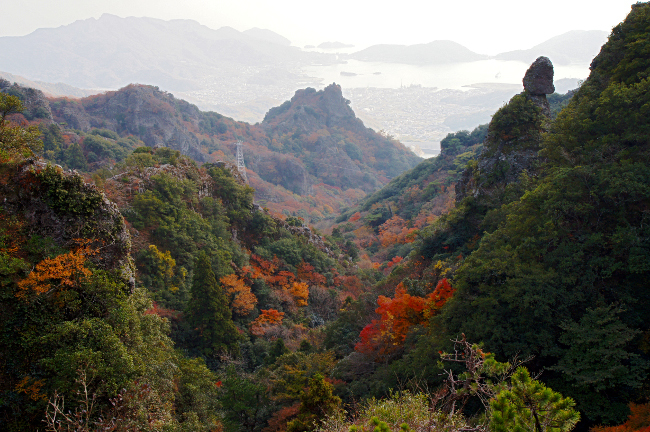 The mountains here are densely covered by Japanese maples, meaning if you are here in the autumn you’ll have some stunning views down the gorge of a patchwork of blazing red, amber and golden leaves running from the top of the island, all the way down to the ocean in the distance below. 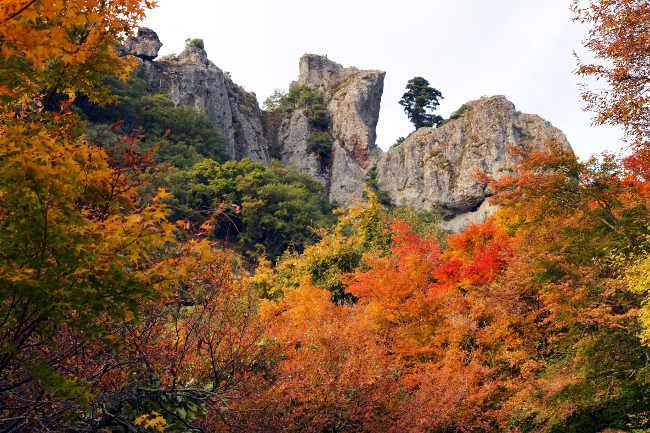 It’s said there are Twenty Views that are especially noteworthy from the Kankakei gorge. I’ve not managed to tick off all twenty, but those I have seen are impressive, and there’s a viewing platform from which there is an unforgettable panoramic view of the Seto Inland Sea. 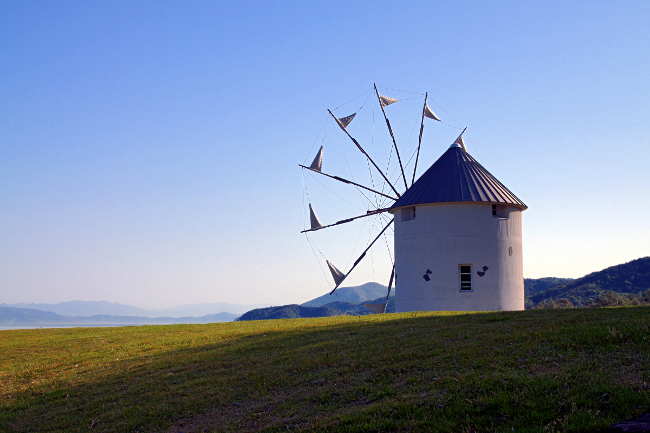 In keeping with the rest of the island, there are few man-made attractions once you reach the top of Kankakei; this is all about the natural beauty. Grab an ice-cream, have a picnic, play ball, relax, sunbathe, walk among the trees. Generally, just chill. Oh, and take photos of the stunning views. If you don’t mind seeing animals in captivity there are also modest peacock and monkey parks on the island. If you’re a Japanese literature or film fan then you must check out the Twenty-Four Eyes (Nijûshi no hitomi) film village. A popular novel by Sakae Tsuboi, set on the island, that has been filmed twice, once in 1954 and again in 1987. Tsuboi herself lived on the island. It was the second version that used this location for filming. If your cultural tastes extend to Kabuki then the Farming Village Kabuki Stage is worth adding to your ‘to do’ list. There are also several walking/hiking routes to be found across the island. Otherwise, there’s not too much in the way of tourist trappings on Shodoshima – which is all part of its appeal. There are seven ports scattered around the island with connecting ferry or high speed catamaran services to various other ports of Japan – although I’ve only ever arrived (from Kobe) at Sakate Port. A personal recommendation: if you arrive at Sakate it’s a good idea to eat, like the local fishermen do, in the Osaka-ya restaurant overlooking the harbour. They do staple rather than fancy fare, and their single bowl dishes (eg rice and chicken oyakudon) are good examples of everyday Japanese family meals. The walls of the (traditional style, shoes-off, sit on floor cushions) dining room are covered in a riot of colourful vintage promotional beer posters – almost an attraction in their own right. 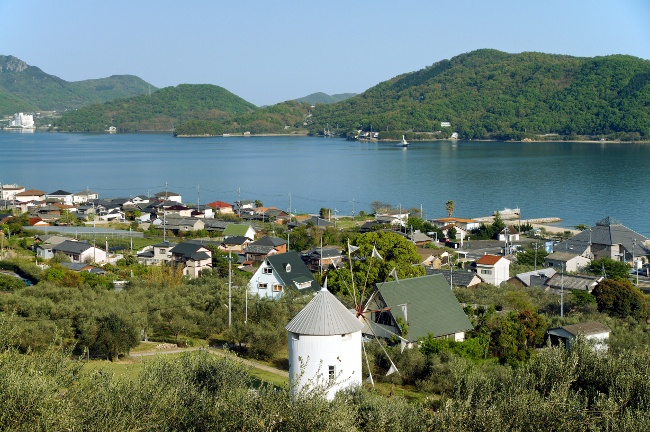 The island was the first place in Japan where olives were successfully cultivated (in 1908) and to this day its manufacture contributes to the economy through the sale of olive oil and related goods (and is one of the drivers for Japanese tourists). If you’re really into your olive oil – I know some foodie/cookery types (such as my wife) are! – then the Olive Park should sate your interest. This also means that, should you be looking for gifts, you’ll find all things olive oil related. Everything from the usual soap to the less usual ice cream! Hello Kitty fans will want to pick up official souvenirs of Kitty (often depicted squeezed inside an olive!) which are sold only on the island and nowhere else. There is no airport on the island. 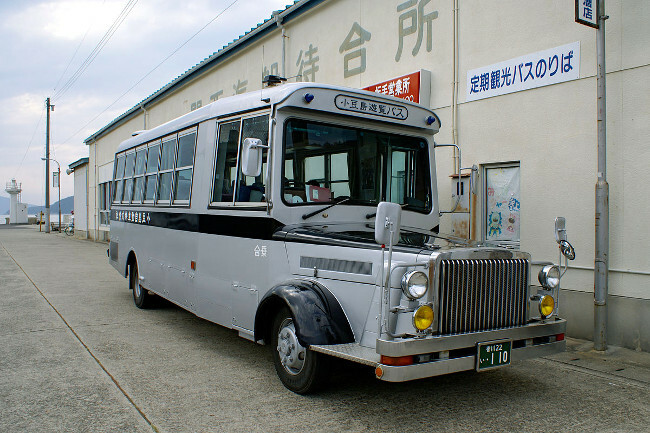 There are though a number of regular ferry services from the mainland to Shodo-shima throughout the year. There are currently connections to the island from Himeji, Okayama, Takamatsu and Teshima. I can recommend staying at ryokan Mari in the Nouma area. It’s the one we used for our honeymoon and with friends since. It comes with an onsen and separate male/female baths – both within a courtyard garden to the rear, where there is also a small rotemburo. There are just 7 rooms here and the small number means the personal attention and service is about as good as it gets. Décor is traditionally influenced but with modern benefits and the food is first class. There’s also a small gift shop for island souvenirs and locally sourced products. It’s not very far from the main harbour, but you should be able to arrange in advance to just give the owners a call when you want collecting from the ferry and they’ll gladly pop down in their car and pick you up for free (and drop you off for your return journey too). There are English-speaking staff, and they’ll do whatever they can to understand and accommodate you. 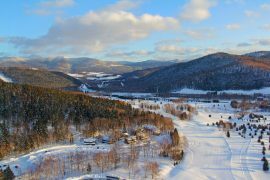 The two best times of the year to go are spring when the weather is warm and sunny (but avoids the exhausting humidity of the summer) or, my personal recommendation, if you want to catch the stunning blazing red leaves, the autumn. Wonderful blog! I also really, really love Shodoshima and its nature. Very cool that you chose it as your honeymoon spot. Didn’t go to the gorge but enjoyed some local kabuki. Hope you don’t mind but I linked your blog on my own about the best islands in Japan. Thanks again! Hi Tam – thanks for the compliment – glad you like The Real Japan! If you return to Shodoshima KanKaKei Gorge is well worth seeing. I enjoyed your article – there’s a few islands in there I’ve yet to explore – so good to read your thoughts on those. Was impressed by all your hitchhiking around Yonaguni and Ishigaki! Maybe see you on a remote island sometime! Congratulations on such a lovely place chosen for Your Honeymoon!!! Very Best Wishes for a Lifetime of Bliss and Joy in togetherness !!!!!!!! What an unique place for a visit with Family and Friends ! Hello Regina – thanks for your kind comments. I’ll keep writing about the topics and places in Japan you are interested in.